Felix Jackson is the founder of medDigital and DefinitiveDx. 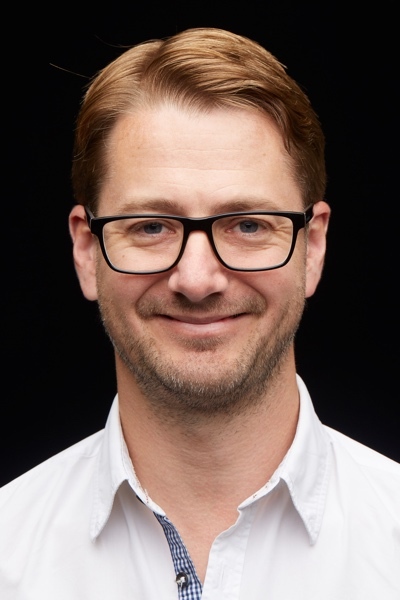 He trained as an Anaesthetist, gaining his MRCP with the Royal College of Anaesthetists, and previously worked for GSK in HIV Medicine, later specialising in digital health. What is medDigital and what is its purpose within medicine today? medDigital is a digital healthcare communication service, building websites and apps for healthcare businesses, including pharmaceutical companies amongst others. We either provide the platform and content for these companies to convey their information to the world, or we provide the content for their existing websites. The aim of our company is to revolutionise healthcare with digital communications. Where do you see the company in the future and what impact will it be having on medicine? We are currently in the process of upgrading our current technology, DefinitiveDx, and our offerings as medDigital. DefinitiveDx is a tool which helps health and social workers to “give and get” advice. For example, if a doctor is querying a case, they will be able to share this with a community of similar healthcare professionals and get their advice, aiding them in the eventual treatment they offer. In the next 3-5 years, we would like medDigital to be a company consisting of 30 people (currently 10) and with 15 people working actively within DefinitiveDx. 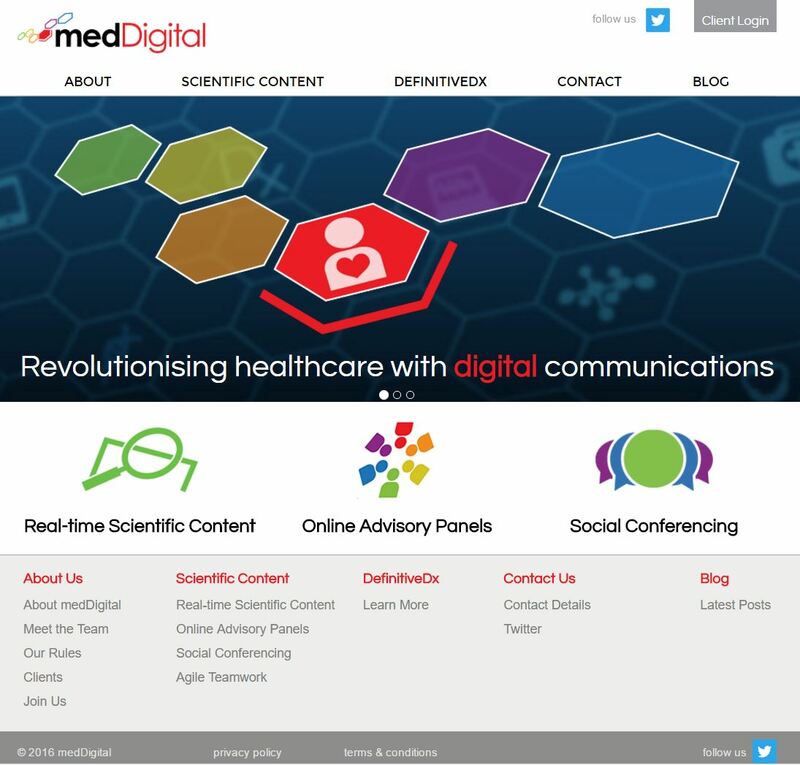 medDigital is a digital healthcare communication service, building websites and apps for healthcare businesses. When during your medical career did you decide to pursue an entrepreneurial role? The goal from the start was always to become a doctor – that is why I chose to study medicine, not to become an entrepreneur. However, whilst studying medicine and later working in hospitals, I always had an interest in medical technology and found myself “playing around” with healthcare tech. I then, almost by accident, set up my first business which then became medDigital. However, my medical degree was essential in me being where I am today. There are a large number of jobs and other opportunities outside clinical healthcare where you need a doctor to do the work, but most doctors do not even know these exist because these roles are off the “normal career pathway”! So not all clinicians are exposed to them. my medical degree was essential in me being where I am today. Do you still actively practice as a clinician? I initially started my specialist training in anaesthesia, but left to develop what is now DefinitiveDx and medDigital. The aim was to always return to my specialist training and complete it, but 5 years into medDigital I had to make a decision between the two. I chose to go 100% with medDigital and left my practicing clinical career behind. I am the CEO of the company at the moment and I no longer have my licence to practice although I remain a registered medical practitioner. What advice would you give medical, dental or other healthcare students who have a passion for entrepreneurship? The first thing is get your “tickets”. Get your license and get 2-5 years of clinical practice under your belt. You need to have been responsible for diagnosing and treating patients and understand how the clinical world works in order to pursue any entrepreneurial idea which needs to work in the real clinical world. Secondly, know your shortcomings. I run the business side of the company and I have been learning this role now for 8 years – the same amount of time it would have taken me to specialise in anaesthesia – and there are many more years of learning to come! That’s because, business is a specialism. People do degrees in business and grow up with their parents teaching them about business, just like my father began to teach me about medicine and anaesthesia. Business is not something you can walk into out of the blue. If you are a doctor and want to go into business or technology, you must understand that it is a profession in the same way medicine is, and there are also very talented individuals within it who you will be competing against. You should be able to compete because you have gone through a medical or dental degree where you are taught to “work hard” and “apply yourself” and generally speaking you will be as academically able as most successful business leaders! You need to have been responsible for diagnosing and treating patients and understand how the clinical world works in order to pursue any entrepreneurial idea which needs to work in the real clinical world. First, find an idea that seems to work. Although, you can guarantee that your first idea won’t quite work, because even if it is 80% right, it still means that it is 20% wrong – and that is a large percentage off for an idea that involves the level of complexity that healthcare contains. So, you must continue to iterate your initial idea, until you reach that final model which is “almost perfect”. I have made so many horrendous errors and almost failed many, many times. It took me too long to get out of the mentality of graduating from medical school, when I thought I knew a lot! What are your 3 top tips for success? Approach business as if you’re starting a new specialism. You have to go into it with the mind-set “I need to learn this”, not “I already know this”. Go out there with a good idea and then quickly improve it. I remember watching a Dragons’ Den episode once where they were pitching a new spicy sauce. The first thing the Dragon did was go to a supermarket and get people to try it and say what they thought of it, and that’s exactly what you have to do. Get feedback on your idea from the people who will actually be using it and see if they think it might work in the real world and if not, what you need to do to make it work! If you use this insight to make the right decisions, you will become the next Doctorpreneur. Enjoy this interview? Read about Felix’s progress here.